Chayes Fellow Edith Sangueza ’18 on working at Insituto para las Mujeres en la Migracion in Mexico. Teotihuacan and Xochimilco, Mexico. Photos courtesy of Edith Sangueza. I have really been enjoying my work at IMUMI. I have been working on three big client cases—two U visas (victims of criminal activity) and one VAWA visa (violence against women). I interviewed the three clients and drafted their declarations. All of my supervisor’s clients have been so generous and brave in sharing their stories. I sent out U visa certification requests to the relevant police departments, and we are waiting to hear back from them, hopefully with certification. While I learned about U and VAWA visas in my Immigration Law class, it has been a totally different matter to help put together a completed application, and I have a new understanding of how long and complicated a process it is to apply for a humanitarian visa. I have also helped with a number of smaller tasks, such as requesting birth certificates and apostilles from different states where the clients’ children were born. Many Mexican national parents living in the U.S. don’t realize that they can register their U.S.-born children for dual nationality, and then once they return to Mexico, they need to request a copy of their child’s birth certificate, along with an apostille, before they can register their children as Mexican. Without Mexican nationality, children often can’t get access to important benefits such as medical care or food benefits, and sometimes they have difficulty enrolling in school. Finally, building on a previous intern’s work, I am putting together a paper detailing the challenges that many transnational families face with access to identity. I am working on finishing as my time here winds down. The summer has really flown by, and I can’t believe I will only be here for another two weeks! 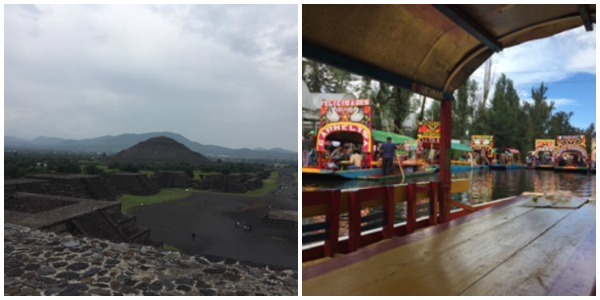 This entry was posted in Fellowships and Grants, International Travel and tagged Chayes Fellowship, Mexico, Summer Abroad by Shona. Bookmark the permalink. Visit the ILS page on the Harvard Law School web site for recent news, alumni profiles, and links to events, related faculty, courses of study, and international travel opportunities.